For bookings of any of our featured DJ's/Artists please contact advelec@live.ie or call Sean on 00 353 (0)85 117 5582. Choonage slinging label, designed to become an outlet for a new breed of experimental DJ's, producers and artists of all kinds and venturing into all genre's, bringing together the unique sounds of the herds and exploiting them to they're full potential. Home of Octopus Slime, Ramshackle Dub, Geurilla, DJ Houseproject, Casper and many more. Your one stop shop for Psybient, Ambient, Psydub as well as your usual dose of Techno, House, Bass and more to boot. Attention clubbers, ravers, DJ's, bands, producers and artists. The Flog the Bog Competition is here!. To celebrate the debut of the South-Easts (IRELAND) messiest festival we are having a little competition to weed out the finest talent Ireland has to offer. This festival is going to be run by the people for the people, the DJ'S, bands and artists etc will all be selected by you good people by process of elimination, and here's how it works. 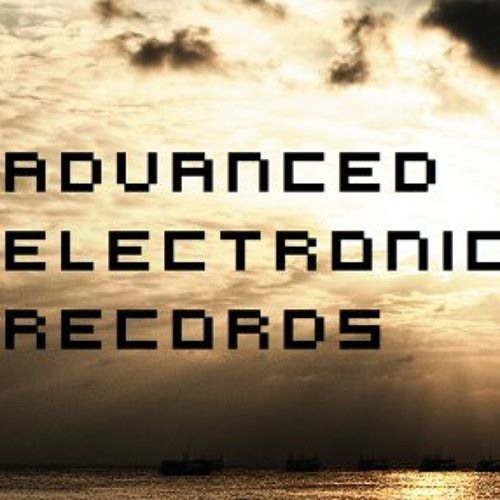 Flog the Bog will be in association with Advanced Electronic Music who have set up groups on Soundcloud. To enter all you musicians DJ's and bands have to do is like and share the page www.facebook.com/AdvElecRecords and follow the Soundcloud page https://soundcloud.com/advanced-electronic-music, upload your DJ sets or your individual tracks, band demo's etc to Soundcloud (which is free unless you want additional minutes upload time), join the relevant group depending on your set-up and share your tracks, sets etc by going to your selected music and choose the share to group option, for DJ's follow the link: https://soundcloud.com/groups/flog-the-bog-competition-dj-mix-group for bands follow this link: https://soundcloud.com/groups/flog-the-bog-competition-band-group , and for producers follow the link: https://soundcloud.com/groups/flog-the-bog-competition-producers If you dont have a Soundcloud account you can upload via Advanced Electronic's dropbox simply add /dropbox to the url of your chosen group and upload. Remember it is important to include the term "Flog the Bog" in the title AND INCLUDE YOUR CONTACT E-MAIL (AND PHONE NUMBER IF YOU WISH). There are only 10 uploads per DJ, band or producer allowed and this will be monitored by our moderators. It helps to have some likes and comment on your mixes, tracks etc before hand and it is up to you to promote your sounds as best you can. But this is not the only thing you will be judged by.... we are looking for quality, originality and unique sounds. The more likes, re-posts, and comments you have the better but what we really want is diversity!. For artists please upload to www.instagram.com (OR IF YOU WANT MORE PRIVACY www.imgur.com) and submit the link for your paintings, graffiti, photography and whatever forms of expression you have come up with to flogdbog@hotmail.com The most popular work that catches our eye will be included on the Flog the Bog competition page on the Advanced Electronic Records website:www.advancedelectronicrecords.com which will mean you will be shortlisted and considered for the prize!. The best mixes, tracks will also be specially featured in the upcoming Advanced Electronic Podcast What is this prize we speak of?, well, producers and bands/singers/musicians will have they're tracks fully mastered and featured on the upcoming Flog the Bog music compilation to be released in April 2014 on Advanced Electronic Records as well as having the chance to perform on the Flog the Bog main stage at the upcoming festival planned for Easter 2014. Successful DJ's will have sets recorded also "live" on main stage at the festival, mastered with crowd sound included and also featured as part 1 of a mix series on the Flog the Bog compilation!. Successful artists will be commissioned to create work for the " The Flog in the Bog" compilation series as well as creating the artwork that will shape the imagery of the festival. All winners will also receive 5 free tickets for they're friends, a bottle of Champagne or Whiskey (whatever your tipple may be) as well as free passes for themselves and band members (where applicable) to roam untouched at the festival with untold goodies also lined up. So get recording, mixing, singing, painting and whatever it is you do best and be part of the Flog the Bog festival community. Competition begins 30/11/13 and continues up to a month before festival planned for Easter 2014. Good luck...if ya need it!.